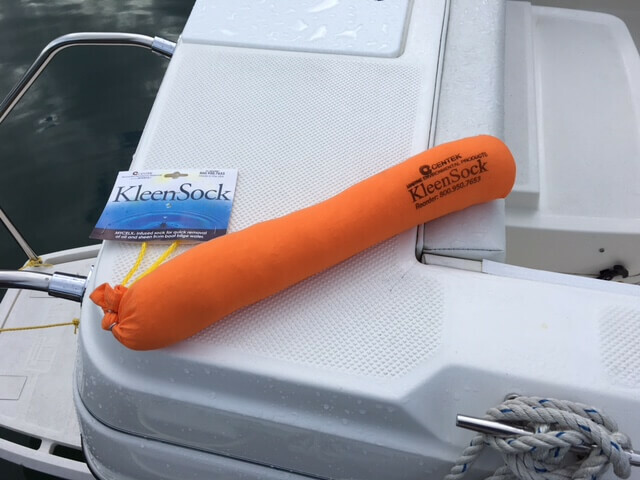 Do your part to keep our marinas and waterways clean with these handy Kleen-Socks for your bilge. Kleen Socks – do your part to keep our waterways clean. These bilge socks are flexible and the right size to fit into almost any bilge, sump, tank or engine compartment. Great for small, hard to reach places. A loop is attached to each sock for attaching a rope for easy retrieval. This sock will absorb up to one Litre of oils, gas and diesel fluids while repelling water. It will not sink even if saturated. The outer sleeve is tough, chemical resistant and will not shed. The bright orange color allows you to see how saturated the sock is.